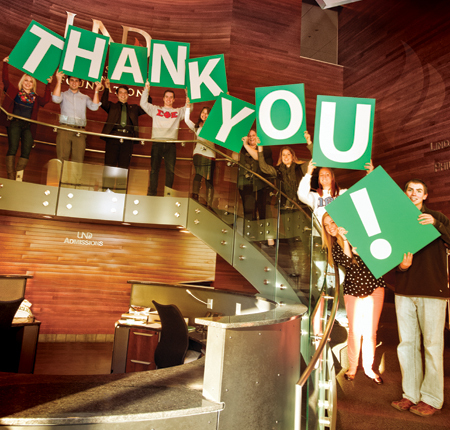 Thank you for supporting the University of North Dakota during North Dakota Spirit | The Campaign for UND. Celebrate raising over $324 million for UND's passionate students, inspirational educators, innovative programs, and extraordinary places. During North Dakota Spirit | The Campaign for UND, 38,808 alumni and friends like you benefited UND’s passionate students, inspirational educators, innovative programs, extraordinary places, and annual excellence (priority needs). For more campaign information, click here. To see allocations of cash gifts by department, click here.